Nandamuri Taraka Rama Rao was an Indian film actor, director, producer, and a politician. He was the founder of the Telugu Desam Party. Taraka Rama Rao is popularly known by his initials NTR and 'Anna Garu'. NT Rama Rao was born on May 28, 1923 at Nimmakuru in Krishna district. He made his debut in film industry in 'Mana Desam' movie. NTR is known for his portrayals of Hindu deities like Lord Krishna and Lord Rama. Nandamuri Taraka Rama Rao was an Indian film actor, director, producer, and a politician. He was the founder of the Telugu Desam Party. Taraka Rama Rao is popularly known by his initials NTR and 'Anna Garu'. NT Rama Rao was born on May 28, 1923 at Nimmakuru in Krishna district. He made his debut in film industry in 'Mana Desam' movie. NTR is known for his portrayals of Hindu deities like Lord Krishna and Lord Rama. 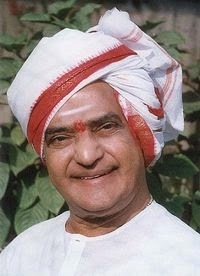 Nandamuri Taraka Rama Rao was an Indian film actor, director, producer, and a politician. He was the founder of the Telugu Desam Party. Taraka Rama Rao is popularly known by his initials NTR and 'Anna Garu'. NT Rama Rao was born on May 28, 1923 at Nimmakuru in Krishna district. He made his debut in film industry in 'Mana Desam' movie. NTR is known for his portrayals of Hindu deities like Lord Krishna and Lord Rama.Nandamuri Taraka Rama Rao was an Indian film actor, director, producer, and a politician. He was the founder of the Telugu Desam Party. Taraka Rama Rao is popularly known by his initials NTR and 'Anna Garu'. NT Rama Rao was born on May 28, 1923 at Nimmakuru in Krishna district. He made his debut in film industry in 'Mana Desam' movie. NTR is known for his portrayals of Hindu deities like Lord Krishna and Lord Rama.